This week's column is a break from the typical format to celebrate the release of Guilds of Ravnica! I am going to try and analyze each card that I think has a chance at Modern playability, divide them into general Tiers of Playability and, hopefully, not miss anything. 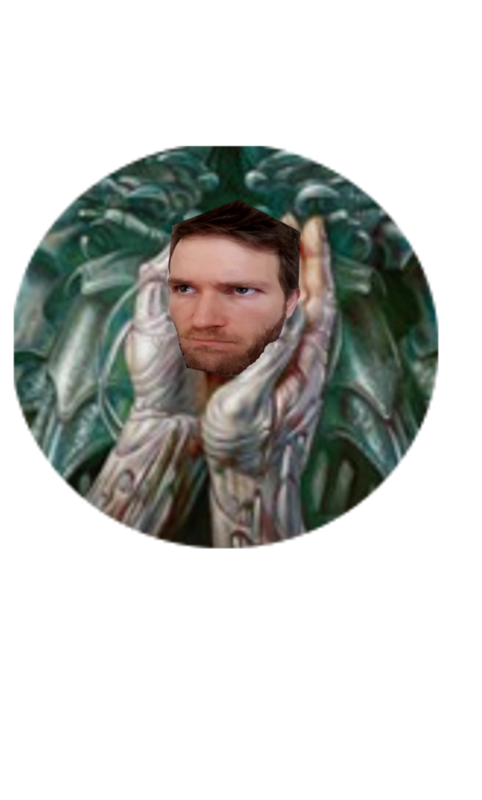 GBx can finally look at turn 1 Urza's Tower and smile. Giving your opponent an untapped basic land is quite a downside, but the versatility this card offers is worth it. Make sure your permanents are doing something when they hit the battlefield because it is officially Trophy Season in Modern. I liked this card when it was spoiled, but now that I've played it I'm in love. This card is a better Snapcaster Mage when paired with Thing in the Ice, Young Pyromancer, Pyromancer Ascension, or even Mindbreak Trap (yes mill fans, Mission Briefing lets you cast Mindbreak for 0 from the yard), and don't sleep on the micro advantage of Surveil 2. It is widely considered that Scry 2 is roughly valued as Draw 1 and I rate Surveil as being better than Scry. Do with that information what you will. If you aren't mono green, you don't care about Elf synergies, and you can cast a Selesnya spell, Knight of Autumn is a better Reclamation Sage. Good against Burn, artifacts, enchantments, and a reasonable 4/3 body when the other abilities aren't good means this card is incredibly flexible. If I played a Valuetown strategy I would be crying with happiness over this card. Reprints are always great for players' wallets so, if you are new to Modern, do yourself a favor and collect these on the cheap during their Standard lifespan. Your future self will thank you. There's been a Collected Company Goblins strategy lurking on the edges of Modern for a while now and I think this might be the card to bring it to prominence. Having access to 8 functional Goblin Rabblemasters gives ridiculously explosive potential to each Company especially considering the synergy with Goblin Piledriver. This card has very strong potential. You can tutor for card draw (Street Wraith, which also enables Undergrowth, Painful Truths), removal (Fatal Push, Assassin's Trophy, Terminate, Maelstrom Pulse, Slaughter Pact ), value (Kolaghan's Command, any black planeswalker), creatures (Death's Shadow), and timely combo enablers (Goryo's Vengeance). 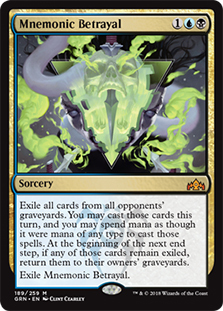 I can easily see a new take on Death's Shadow that tries to abuse this card and I can even see new strategies emerging to take advantage of this potentially powerful tutor. This isn't going to break Modern but people are definitely going to have fun with it. Speaking of breaking Modern, there is already a turn 1 kill with Runaway Steam-Kin (Frank Karsten is the best). While that isn't going to be a likely occurrence, it demonstrates the explosive power of this card in Modern. Seeing Runaway Steam-Kin on my opponent's battlefield will always make me nervous. I've already recorded with this card and I think there is a ton of potential here, even beyond the Saheeli Rai centric shenanigans I had. The biggest deckbuiding barrier is the Lose the Game trigger but if you can find a consistent way around that (Sundial of the Infinite, Angel's Grace, a Gideon of the Trials emblem, or even Platinum Angel) a 3 mana Time Walk that makes your creatures indestructible is quite a card. As MagicAids has already discovered Pelt Collector is an improved Experiment One that combos even harder with Vexing Devil. Bushwhacker Zoo will certainly enjoy the extra redundancy and explosivity but you can even slot this into Mono Green Stompy and be very happy with the results. I've already played against this in Dredge already and it went from "Oh, that's cute" to "Please stop doing that" in no time. This isn't going to take Dredge back to the Golgari Grave-Troll days but it definitely seems like a big upgrade. 5 mana might just be too slow for it but Gruesome Menagerie provides some recursion for Vizier of Remedies decks and brings back at least 1 infinite combo that I've seen (Viscera Seer, Melira, Sylvok Outcast, and Kitchen Finks results in infinite life). This feels like a card that could be busted, but it's solid sideboard value at least for low to the ground creature decks. This is Yawgmoth's Will, a card banned in Legacy, for your opponent's graveyard. Having to rely on your opponent's graveyard likely nerfs it hard enough that we won't see it rock the boat too hard but it is still a very powerful effect. For now I see Mnemonic Betrayal as an interesting alternate win condition for mill strategies (assuming your opponent is running win conditions) or an insane person's answer to the Storm mirror. A UBx control deck that runs mono counterspells, removal, and Mnemonic Betrayal sounds like an absolute nightmare to play against (even if that's a tier 50 deck). A versatile sideboard card in the vein of Lost Legacy. However, this card has the ability to hit anything, even lands. Dimir can now deal with Tron and Valakut proactively rather than reactively and that's a good thing for the format. A repeatable abrupt decay with some potential for card advantage... not bad. Being 4 mana really helps this card's chances but I don't think it'll be more than a GBx mirror breaker out of the sideboard. Bitterblossom and clues from Tireless Tracker are interesting synergies with the +2, so this might be a case of the right deck not existing yet. Having functionally 4 more Obstinate Baloths can sure make Hollow One or Liliana of the Veil strategies feel bad. If you aren't running many/any non-creature spells and your meta is full of Burning Inquiry this card feels like a great time. Consume the Meek has seen play in Modern and while an instant, this being 4 mana makes playing a sorcery version of it somewhat palatable. I can see this being played maindeck or sideboard in something like Grixis Control, either as a budget Damnation or in addition to it to combat that pesky Meddling Mage. A card selection engine on a 4/3 body that can essentially regenerate for 4 life sounds amazing before you see it costs 5 mana. This tragically seems like another victim of Modern's speed. There could be a Sultai control deck out there looking for this but I'm not very hopeful. I could see this making the cut in a budget Izzet or Mardu deck as a recursive threat. 4 mana is a pricey investment so hopefully the deck would also run Faithless Looting and Thought Scour to cheat it in from the graveyard. Might as well toss Bedlam Reveler in there too. I wrote this card off at first. But the more I thought about it the more it reminded me of a Keranos, God of Storms that starts the card advantage right away. I think this could make the cut in Blue Moon as a way to fuel Snapcaster Mage and bin dead cards like extra Blood Moons. I don't believe a 4 mana Glimpse of Nature on a 2/3 body is going to cut it in Modern, but I also don't want to count out Glimpse of Nature at any cost. Winding up as a single Chord of Calling target seems plausible. That being said, Beck // Call hasn't seen much play outside of the Brain in a Jar Era of Modern so I'd file this card under Traps. Did I say Traps? Well, Browbeat has been the quintessential "Don't play this, it's a trap" card and Risk Factor has a lot in common with it. There is one big difference here though, and that difference is Jump-start. I think being able to turn a late game land into a potentially tough choice for an almost dead opponent might barely push this punisher effect into playability. I know I will be trying it out at minimum. This is likely unplayable for the time being. 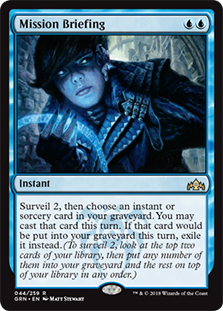 But if Wizards prints enough playable Surveil cards, Disinformation Campaign could be a daunting for midrange and control strategies to contend with. Allowing token strategies to go both wide and tall, Divine Visitation will end games in a hurry. Curve Gideon, Ally of Zendikar into this and you'll be signing that match win slip in no time. 5 mana is the only hurdle to playability here but I think it is well worth the mana investment in the right deck. Kraul Harpooner is neat little card that gives Mono Green Stompy a maindeckable way to deal with fliers. It also happens to combine well with a creature packed graveyard and something to give it haste (Xenagos, God of Revels and Temur Ascendancy come to mind). 1 mana removal that exiles and scales well into the late game deserves some attention. With the right deck, it could be a better Fatal Push, but I'm not sure if that deck exists yet. If any card can make Twincast Modern playable, this is it. Having a second side that doubles as card advantage + removal, even if it is overcosted, gives this card a much higher floor than it would have otherwise. I expect to have a few Cryptic Commands soul-crushingly dominated by this spell in the coming weeks. This card goes infinite with Intruder Alarm and Cryptolith Rite and provides nice value if there were ever a Convoke deck in Modern. Probably a fringe playable as is but if the right cards are printed this could be a powerful engine. Essentially providing Hexproof to your team while being a Hastey 3/2 with Mentor, Tajic does a lot for 3 mana. I don't know what deck is really yearning for his particular set of skills but they can certainly be a nightmare in the right scenario. Lazav probably doesn't move the needle for Modern but being able to use his ability at instant speed is interesting. Maybe there's a madman out there with a Training Grounds, Pack Rat, and Death's Shadow deck that is jumping for joy at Lazav? I'd like to think so. 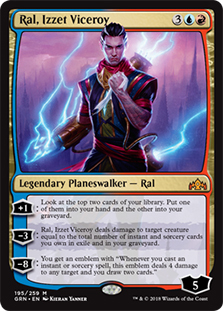 If we get a way to cheat enchantments onto battlefield in Izzet colors, look out. Otherwise, Thousand-Year Storm is likely not better than Pyromancer Ascension in Modern. I love the art, but I doubt I'll be playing this anywhere other than in my dreams or for some hearty shenanigans. Because a 6/6 Flying Trampler is above curve as is, I can definitely see combining Doom Whisperer with Heartless Summoning and living my best life. Casting it on curve isn't the end of the world but I don't expect it to see much play outside of Heartless Summoning strategies. For the person who likes Genesis Hydra but would rather it be a Spider and rely on the graveyard. Being a fan of Grisly Salvage is a plus too. This seems like decent sideboard tech if you're worried about Hollow One decks or if you're a Mono White mage who really, really hates Tarmogoyf and playing Path to Exile. I'm not sure I would ever run this over Think Twice unless I had a lot of Madness or discard synergies, but it does have decent synergy with Flashback too. I don't think the tools are quite there for a Madness deck in Modern yet, but this could be the kind of enabler that makes someone's Simic Madness dreams come true eventually. There is definitely some weird combo potential here if you are willing to put in the deckbuilding work. Switching its power and toughness (Twisted Image) and giving it double strike (Assault Strobe or Temur Battle Rage) is the easiest path to victory but you could also storm off with Manamorphose and rituals. The question is do you value doing something new and fun over playing something that is likely strictly better in Storm? Who decided to jam a ton of relevant abilities onto a 2 drop Human? 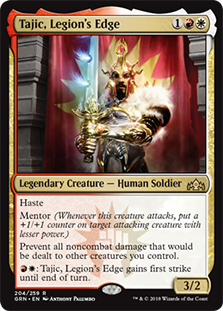 Thankfully the typical Humans lists would likely rather be casting their interactive bears (Kitesail Freebooter, Meddling Mage, and Thalia, Guardian of Thraben), but I could see this being played in a more aggressive Humans list alongside Kessig Malcontents. If you have a lot of Enters the Battlefield triggers to abuse this is certainly one way to do it. Potentially 2-for-1-ing yourself is mitigated by Jump-start and the implication that your deck is full of value creatures anyway. Like Cackling Counterpart before it this won't see much play, but I do think this design space is interesting enough to warrant inclusion. I wanted to end with this cycle of pushed uncommons because I think they are all going to wind up as budget threats for their respective guilds. Boros Reckoner with Mentor sounds like a pain. Enigma Drake that cantrips has to be on someone's wishlist. A Hexproof-Flying-Deathtoucher sounds like a card your 10-year-old sibling wished into existence (in a good way). A 3/4 Eternal Witness for permanents is straight value. A Vigilant 4/4 that leaves behind two Vigilant 2/2's when it dies is Supreme Verdict's natural enemy. They're all so painfully close to playable that it would hurt to leave them out of this article. But, I think each and every one of them teach the same lesson: the barrier to entry for creatures in Modern is very high. If you made it this far, thank you for your endurance! I did not intend to write half this much on a Modern review for Guilds of Ravnica, but here we are. Unless there is a massive outpouring of interest for a thorough review of the next set, I will likely stick to a top 10 or something along those lines. I hope you've enjoyed this journey and I doubly hope that you are as excited about Guilds of Ravnica in Modern as I am.